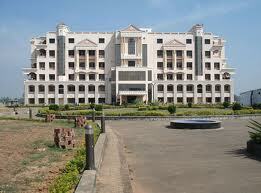 On the beautiful banks of Prachi stands the imposing campus of EAST, eager to mould the future of the youth of Odissa. Quality Education, Honest Personality, Immaculate Integrity, Dazzling Dignity and Noble Nationalism are what we aim to achieve. The inviting infrastructures, comely classrooms, laudable labs, wonderful workshop, luring library (digital with Delnet), alert Internet, Gyan Darshan, the nodal centre of H.P. and many more will win you over. The calm cultured atmosphere will enthuse you to go for excellence. The galaxy of devoted faculty will project you to hyperbolic heights. Campus: On the beautiful banks of Prachi stands the imposing campus of EAST, eager to mould the future of the youth of Odissa. Quality Education, Honest Personality, Immaculate Integrity, Dazzling Dignity and Noble Nationalism are what we aim to achieve. The inviting infrastructures, comely classrooms, laudable labs, wonderful workshop, luring library (digital with Delnet), alert Internet, Gyan Darshan, the nodal center of H.P. and many more will win you over. The calm cultured atmosphere will enthuse you to go for excellence. The galaxy of devoted faculty will project you to hyperbolic heights. EAST has an extremely well-equipped laboratory providing the latest state of the art technology to keep students abreast of modern technology and requirements of the industry.The laboratory has Windows NT based network supporting, open-ended system like C,C++ for programming. Presently ELX Linux is also being implemented.Advanced database such as Oracle 9i, MS Access are also available.The lab is equipped with the highest name HP-COMPAQ computers for students’ practical as well as project work. The lab has more than 300 systems with P-IV,2.8GHz,256 MB RAM. Twenty-four hour high speed leased line Internet connectivity with 512 kbps speed from STPI, Bhubaneswar is provided to the students. Each student is provided with an e-mail address under college website(www.eastodissa.com). Besides, various multimedia packages are available on site to shape the ideas and creativity. For automated machine design and drawing, the students have access to the latest CAD,CAM packages.Hewlett Packard (HP) has set up an advanced training center and lab in our college as a nodal centre in Odissa. Hostel: Separate hostels for boys and girls with Telephones, TV with Cable Connection, computers with Internet facility, Doctor facility and First Aid Box, Indoor games, News Paper & Magazines and other amenities are arranged in most desirable areas of Bhubaneswar. An impressive hostel complex has been planned in the campus.